This week's topic is our Top 2 Favorite Disney Memories. Narrowing my favorites down to just two was really tough. All I have are wonderful memories since our first trip as a family in 1990. My favorites could fill a book but here are two. The first is from and E-ticket night in the Magic Kingdom. 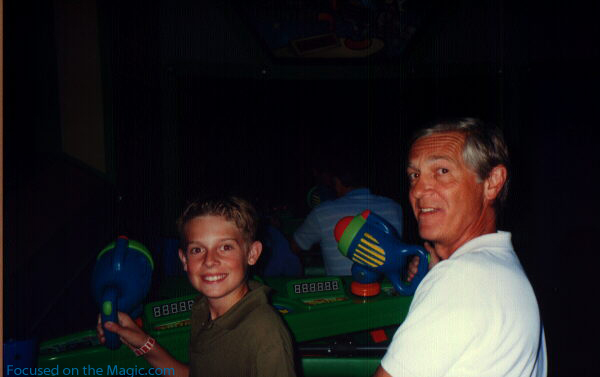 It was during the soft opening of Buzz Lightyear Space Ranger Spin. We rode it over and over and each time our scores got better and better. What a great night! On E-Ticket nights the characters would wander the parks throughout the night, greeting guests and signing autographs. There were no lines and you usually had them all to yourself for awhile until they wandered off in to the darkness. They fooled around quite a bit with guests always staying in character but really acting out, which was a lot of fun for us. You can read more about it HERE. My second is from a very special birthday I spent in Disney World. That night we had dinner at the Rose & Crown which was absolutely fabulous ending with the servers singing "Happy Birthday" along with my family. 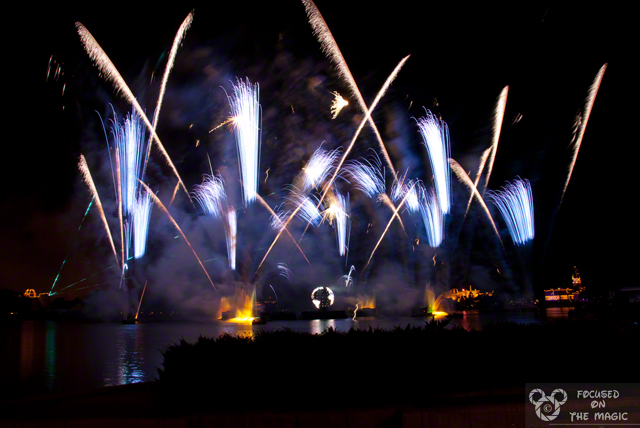 After dinner we watched Illuminations and I got to photograph it from the best location in the World Showcase. You can read more about it HERE. What's your favorite Disney memory? Oh man I LOOOOOVED E-ticket nights SO MUCH! I remember gleefully jumping on the moving walkway on the exit to Space Mountain with my sister - we were practically the only ones on the ride and kept riding over and over again. One time at thunder mountain we didn't even bother to get out of the cars! And we'd giggle and recite the spiel each and every time. I miss those nights. Awesome memories, Deb! Thanks for sharing! Great memories Deb! I would love to have the characters "all to myself" like and see them be a bit crazy. So cool! !